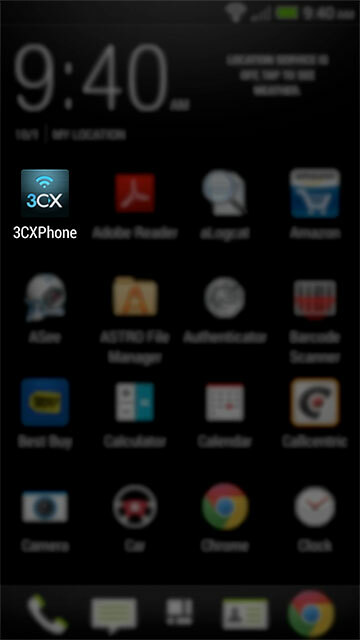 The 3CXPhone, for mobile devices, is a softphone application from 3CX. This softphone is available for the iPhone/IOS and Android devices. 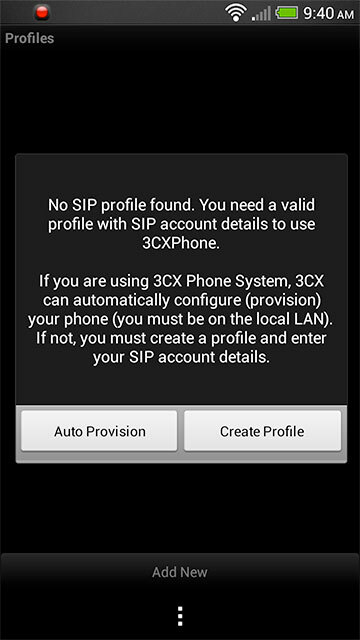 The information included in this guide will assist you with configuring the 3CXPhone (version 2.0.5) on an Android platform. Configuration should remain the same/similar on the iPhone or other supported mobile operating systems. 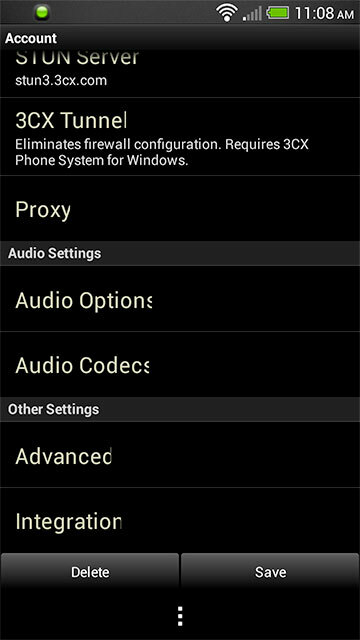 NOTE: If you are using the Windows version of the softphone please click here. NOTE 2: This softphone is no longer available in the Google Play Store and Apple's App Store. If used over 3G/4G/EDGE then depending on carrier and service plan used, you may be billed for your data usage. 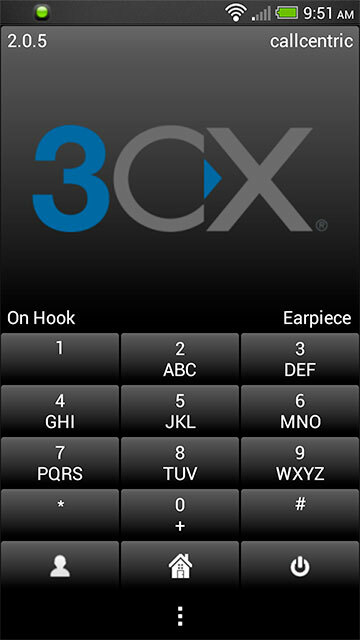 Configuring the 3CXPhone for use with Callcentric is pretty straightforward and can be completed in a relatively short time. If this is the first time opening the softphone please follow the instructions below otherwise move to Step 2. 1. You will see a license agreement. 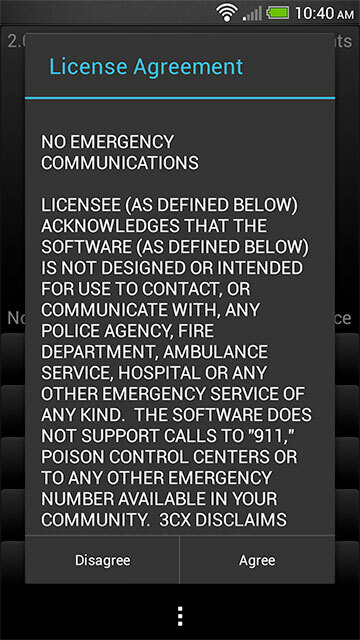 After reading the license agreement please click 'Agree' if you accept. 2. You will next see an alert stating that no valid profiles has been found. Please click 'No'. User: This is either the default extension 1777MYCCID OR 1777MYCCIDEXT, where 1777MYCCID is the 1777 number assigned to you by Callcentric and EXT is the three digit extension you are trying to register this UA to. 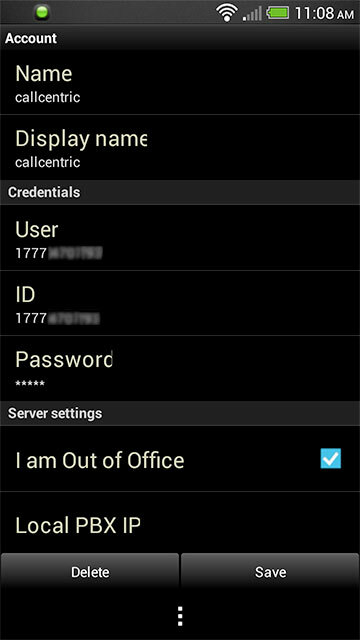 ID: This is either the default extension 1777MYCCID OR 1777MYCCIDEXT, where 1777MYCCID is the 1777 number assigned to you by Callcentric and EXT is the three digit extension you are trying to register this UA to. 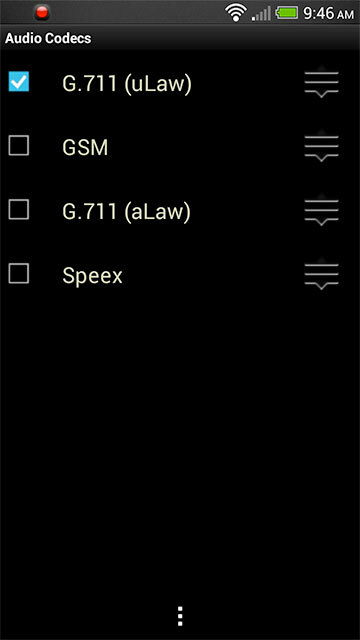 On the Audio Codecs page, ensure that only G.711 (uLaw) and G.711 (aLaw) are selected and no other codecs are checked. Once you are done make sure to save your changes by clicking on the Save button. You will be dropped back to the 3CX VoIP Phone dialer and see that your profile is registered to your Callcentric account. If you encounter any errors please double check your credentials and make sure you have entered them correctly.